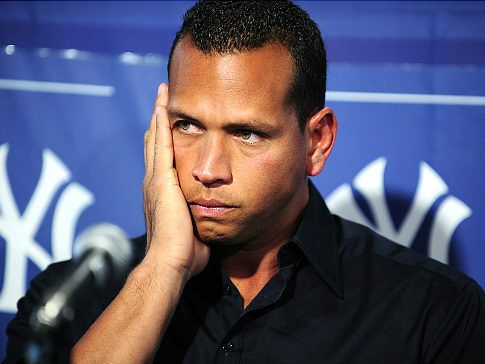 After massive talk yesterday that Alex Rodriguez (pictured left) would need to undergo hip surgery to remove a cyst removed and his torn labrum repaired, most recent reports suggest that A-Rod will not require surgery just yet. So if he’s not going to have surgery… exactly how does he plan to rehabilitate these injuries? I’m no doctor, but these things don’t really seem like the type of conditions to just go away on their own. Torn muscles are usually much weaker after they have been torn and cysts don’t usually just disappear. I’m wondering what exactly his recovery will include… steroid treatments perhaps? Hahaha… a low blow I’ll admit, but it is interesting that steroid treatments are often a legitimate alternative to surgeries of many types… I imagine that he’ll be recovering naturally though after all the press he’s received lately. It is interesting that his most injury free seasons were those which he played in Texas (the time period of his supposed steroid use). 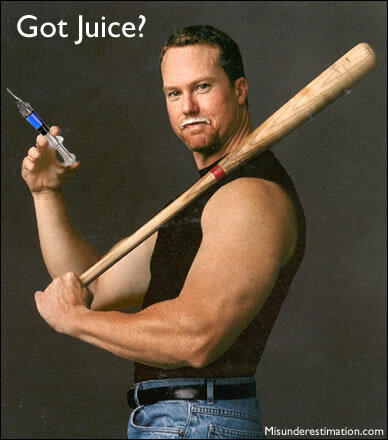 By now, everyone knows about the steroid scandals that have forever changed the game of Baseball. From Alex Rodriguez, to Roger Clemens, to Barry Bonds, to Mark McGuire, to Jose Canseco; steroids have seemingly become as big a part of the storied history of the game as Cal Ripken’s games played streak, Babe Ruth’s prophetic pointing, or Pete Rose’s gambling practices. Baseball is a much more individualistic sport than the other mainstream sports (Football, Hockey, Basketball, and Soccer).